Welcome to MicroBrewr podcast. Where we talk about everything craft beer related, but especially for if want to start your own microbrewery or take your existing brewery to the next level. As usual, I’m Nathan Pierce, the host of MicroBrewr Podcast. So I just want to give you a short update today. This is going to be kind of a “state of the podcast” address to let you know some recent developments in my life that could potentially affect the future of MicroBrewr. So I just want to be transparent and honest and let you know what to expect. This is going to be just a short review of the past year for MicroBrewr and also an update of my plans to start a brewery, because some people ask about that. Myself wanting to start a brewery, has sort of become the premise of a lot of MicroBrewr, so I’ll talk briefly about that. Before we get to that, let’s sort of recap the last year of MicroBrewr. I want to use this time and sort of step back to reflect and see what sorts of lessons we have gotten from the last year of learning how to start a brewery. At the end of 2014, on New Year’s Even we had a similar episode, the year in review episode. It was a good time to reflect and project on the future at the time of MicroBrewr. That was episode 43 of the podcast, I had done 30 episodes since taking over for MicroBrewr founder Joe Shelerud. Now this is episode 90, so we’ve done 47 episodes since then. So we’ve learned a ton of great info. Lots of things just never would have occurred to me. The sense of community in the craft beer industry is really prolific and prevalent. Community really is exemplified the most when the business is organized as a cooperative. There a few ways that can happen, like a consumer co-op or a worker owned co-op, but either way, it’s all about people working together to help everyone out. Costs as well as profits are spread out more evenly, everyone contributes and everyone has a sense of ownership and pride. So it really brings out the best work, the best product quality, and the most benefits for a larger number of people. Anyway, it was really cool to see how much the co-op movement is growing within craft beer. Just through the course of this past year, there are a lot more co-op breweries starting all over the country. Another thing I have learned is that cider is really cool! We started the gluten-free series with Bard’s Tale Beer Company, but then we went into cider and talked with Common Cider Company, 101 Cider House and Wandering Aengus Ciderworks. Some of the stats we heard about the growth of cider, even just that cider was way more popular than beer in the U.S. before Prohibition, is pretty cool. The growth alone, from a business standpoint, makes you gotta look. But something that stands out the most for me is how cider is sort of closer to a natural product, kind of the way wine is viewed in that regard, but cider attracts the cool, open-minded, experimental people of the craft beer world. So it’s like the best of both things. And that’s really attractive to me. The gluten-free aspect is a bonus because some people in my life are allergic to gluten. I can eat gluten, but it’s kind of a bummer to think they can’t enjoy most beers that I could have. Anyway, we’ve learned so much this year. It’s so rewarding to receive emails from literally around the world telling me how much you have learned from the podcast and the blog, telling me your cool stories of starting your own brewery, or just thanking me for doing this. 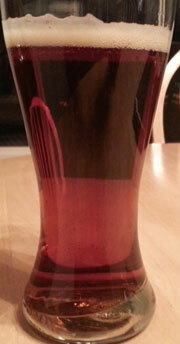 I do put in a lot of time on MicroBrewr. Maybe someone else could do it more efficiently, I didn’t realize when I took this on that I was getting into the whole blogging world. Wow, what an eye-opening experience that has been. There’s a whole segment of the population with online journals or full-on internet media outlets. Some people do it for fun on the side, some people make an ok living at it by itself. Believe it or not, some people are bringing in very lucrative incomes from blogging and podcasts and such. I am not one of those people. With as many hours as I put in, MicroBrewr does make some money. It’s a little bit more than the expenses of just keeping it online. So, this is where I’m going with that, I did get a job. It is not a job in the craft beer industry. It is a full-time job. I will be paid a good wage and I won’t descend into oblivion of despair. I signed an offer letter with the City of San Francisco. I’ll be doing grants work, similar to what I was doing at my last job, where I worked for 7 years, so that’s where I’m most skilled in the workforce. And it feels really good to be gainfully employed again, and especially putting my skills to work, even though I haven’t yet started working. Hopefully by the time you hear this, I’ll be filling out the paperwork, going through orientation and all that stuff. I’m eager to do my best work and give them all I can to make the City of San Francisco an even better place. It’s a 3-year position and who knows, maybe continue after that. I’m excited—and a little intimidated—to be moving to San Francisco. I’ve never lived in a big city before. It’s fun there. It’s diverse. It’s exciting. There are a lot of breweries, and cideries, and even a few distilleries. Not to mention the ocean and the Golden Gate Bridge and lots of bike lanes all these exciting things. So please wish me luck, wish me well. I don’t know exactly when or if ever I’ll be able to start a brewery. Maybe if I don’t get to continue on with the City after 3 years, I’ll get to open a cidery then. Or maybe I’ll keep working for the City of San Francisco and open a brewery on my spare time like Marta Jankowska from ChuckAlek Independent Brewers. In the meantime, I have to give my employer my best work and this is my priority. So this means, I’m seriously wondering how I’ll be able to keep MicroBrewr going. The whole point of MicroBrewr was to learn how to start a brewery. And I learned some things. If 2014 was the year of the nanobrewery for me, 2015 was the year of cider for me. Before I started doing MicroBrewr Podcast, talking to brewers, brewery owners, and other experts from the craft beer industry every week, I was not open to a nanobrewery as a business model. I just thought it wasn’t profitable. But now I’ve talked to enough people who are making profits, that now I see it can be a good way to get off the ground, maybe just keep being a neighborhood brewery thing, but hopefully a stepping stone to larger things. I also wasn’t open to cider. I thought it was too small of a niche, kind of a novelty, and just not that interesting. Now I see that the segment is growing explosively, and compared to other countries the U.S. has a ton of growth potential. Even just looking at where the U.S. was before prohibition, it looks like the U.S. cider market is not something to ignore. And people are doing some interesting things with cider, being really creative with it, bringing back some really neat recipes and fruits that almost disappeared and even doing brand new stuff that has never been done before with cider. So if I have to stop producing new content on MicroBrewr, I hope I’ve learned enough to start a brewery—after 90 episodes I hope I’ve learned enough! At some point I have to stop learning and start doing. Hopefully there’s enough content to help you open the brewery of your dreams—maybe sooner than I. I hear from people who just found the podcast and they’re burning through an episode every day. They don’t have to wait a week for a new episode to come out like me and you who have caught up through the current ones. I want to keep doing MicroBrewr, I really do. I don’t want to let you down. It’s a lot of fun. If the episodes don’t come out on time, every Tuesday as they have been going, well, you know why. Work is my priority going forward. Maybe I can try and find some help to take some of the tasks and make it easier to keep going. I don’t know, it’s a whole new world for me. I’m going back to work full-time for the first time in 2 1/2 years. And I’m moving to the big city and all of that. it’s going to be a huge adjustment in lots of ways. I just looked back at that year in review episode, from New Year’s Eve last year, and I saw that I was looking for jobs all over, preferably a job in craft beer, but even a job in anything. And now I’ve got that. So we’re moving forward. We’ll see what the future holds. Start your breweries, send me emails, I will live vicariously through you! We will drink good beer! Life will be good! Image showing San Francisco. by Kathryn, on flickr (CC BY 2.0) was modified from its original state. The guys at Portland Kettle Works had the idea to start a nanobrewery. They needed one of their employees to run it, so Chris Sears stepped up and took charge of Labrewatory in Portland, Oregon. Labrewatory won’t be just a nanobrewery. It will be part R&D and showroom for Portland Kettle Works, part collaboration brew lab, pilot brewhouse for hire, a brewing classroom, and who knows what else they’ll think of. Chris hopes Labrewatory will be a “craft beer geek haven” and a “hub for creative new beer.” He’s been working on the project since the beginning. Now that it’s almost open to the public, he has some lessons to share. In hindsight, Chris feels they could have spent less time on architecture and design. But he cautions that the plans entail not only what facilities you will have in the building, but also where in the building they will be located. He recommends that you check with the permit inspectors early on and go over your plans with a “fine-toothed comb” to make sure everything follows the codes. They don’t have to advertise this new nanobrewery too much. They’re raising interest by word-of-mouth and social media. Collaboration beers with other breweries will also be key to their advertising and marketing plan. Chris iterates a sentiment shared throughout the craft beer industry: community, not competition. Before doing this project, Chris had been homebrewing for about 5 years. For any homebrewer wanting to go pro, he recommends just starting. “Just go out there and do it!” he exclaims. Kettle size: 3.5 BBL, but we can do 4 BBL. Size and quantity of fermentation tanks: A mix of 7-BBL and 3.5-BBL fermenters. Capacity for up to 12 fermenters. Size and quantity of bright tanks: We will be mostly kegging after conditioning, so around 4. Annual brewing capacity/last year’s production: Approx. 1,000 BBL. Square footage: Approx. 5,000 sq. ft. including brewery, tap room, and mezzanine. Years in operation: Comnig soon (opening October 2015). From Old Louisville Brew: If the bubble does exist, where and when will it hit? For example, shelf space, tap space, customer saturation, etc. Pump on a cart, with variable frequency drive (VFD). Tasting Beer: An Insider’s Guide to the World’s Greatest Drink by Randy Mosher. Portland Kettle Works, craft brewery equipment made in America. Tomatoes, apples and a cold brew – California farmers market beer law OK’d by John Verive, Los Angeles Times, October 10, 2014. Craft Brewers Conference, Brewers Association. Bill Morgan has brewed on 2-BBL systems all the way up to 250-BBL systems. Craft brewing has taken him around the world and back. Now he’s gone full-circle, brewing on 4-BBL system and loving the flexibility it provides at The Blind Pig Brewery in Champaign, Illinois. After graduating with a degree in Biology, Bill used his left over student loan money to attend brewing school at Seibel Institute of Technology. Within 3 years of graduating from Seibel, in 1997 he earned a gold medal at the Great American Beer Festival. It was the first gold medal at the GABF for the first intentionally sour beer (in the Belgian Specialty Ale category). The next year, he added fruit to the same beer and earned a silver medal, plus another gold medal for an Imperial Stout. Eventually Bill was working brewing on a 250-BBL system and managing the quality assurance lab at a production brewery in Japan. The Blind Pig Brewery shares similar names with a former brewery in California, a beer from other currently-operating brewery in California, and even a different business around the block from them. It causes confusion for customers and disagreements with other proprietors. Related: MicroBrewr 044: What every brewery should know about trademarks, MicroBrewr, January 6, 2015. How to apply for a trademark/service mark, Paul Rovella, MicroBrewr, January 8, 2015. “You’ve really gotta do your research to find a name that won’t run you right into these kinds of problems,” Bill advises. Size and quantity of fermentation tanks: 8, 4-BBL unitanks. Size and quantity of bright tanks: 6, 4-BBL serving/bright tanks. Annual brewing capacity/last year’s production: Brewed approximately 500 BBL last year, pushing about 600 BBL this year. Square footage: 100 sq. ft. in brewhouse; 100 sq. ft. in fermentation, serving tanks are tucked behind the bar; seating/bar/toilets/storage; 2,400 sq. ft. in beer garden has 120+ seats, two bars, no kitchen. Years in operation: 6 years (opened May 2009). From Austin: Did you do it for the love of beer, or did you have a more specific goal in mind? A Textbook of Brewing by Jean De Clerck. Technology Brewing and Malting by Wolfgang Kunze. Great taste of the Midwest, beer festival by Madison Homebrewers and Tasters Guild. You’ve spent months working toward opening your brewery, now you’re finally ready for the public. How do you come out with a bang? Henry Thornhill and friends recently opened West Cork Brewing Company in Baltimore, Ireland. They share how to put on a successful opening night. West Cork is renowned for its high quality food. Now quality craft beer also comes from West Cork. West Cork Brewing was started in 2014 by three friends, Henry Thornhill, Dominic Casey, and Kevin Waugh, with just €15,000 (approx. US$12,000). Although it’s a nanobrewery operating in the basement of Casey’s of Baltimore hotel, they knew they had to come out with a bang. Send press releases before the event including lots of photos. Invite media to attend the event. Talk with friends of friends to make connections with media. Keep up the momentum by leveraging coverage after the event. Write a plan for media outreach. Decide on a goal for the evening. Square footage: 400 sq. ft.
From Lawrence: How long does it take you to develop your recipes? Where do you look to be inspired when you’re looking to try something new? Pallet Brew; The original craft brewery on a pallet. 8 things you need to know before brewing up a business from scratch, David Johnson, Fast Company, November 21, 2014. Childhood friends serve up a beer to be proud of, Louise Rosengrave, Irish Examiner, December 15, 2014. Welcome to MicroBrewr podcast. We talk about everything craft beer related, with a focus for people looking at starting their own microbrewery or wanting to take their existing brewery to the next level. Wow, MicroBrewr! What a cool thing. I guess, if you’re listening to this, you agree with me what a cool thing MicroBrewr is, and especially MicroBrewr Podcast. How often do we get to go behind the scenes in any business? To talk with successful business owners and find out their worst mistakes, their biggest successes, and get advice for doing it better than they did. And we do this every week not just for any business, but for craft breweries! When I first heard this podcast probably in episode 2 or 3, when Joe Shelerud was doing it, I was neck deep in developing my business plan. The episodes were still just every other week and I couldn’t get enough of them. Even after Joe interviewed me on episode 5, I was still listening every week, taking notes, getting light-bulb moments, and learning things that I hadn’t thought of, ways to fix my business plan or make it better. It was such a great resource to me at the time. Then when it was going to end forever, I called up Joe and asked him if I could continue the website and podcast. I just felt that it was a great resource for myself, so I didn’t want it to end. And I was thinking of others who must be using it too. I’ve heard that more than one brewery per day has opened this year. That’s a lot of people who need this very information. I happened to be cruising past Medford on a road trip this summer, so I called Opposition, totally last minute, and they let me come in on their day off. They were closed for business but they were there doing other work, and they gave my girlfriend and I tour of their little nanobrewery. They even gave me growler, my very first growler, believe it or not. And it’s pretty cool, too. I like their logo, and the growler is printed with silver, glitter ink. So it’s pretty neat. The blog has some pretty informative posts from some of those guests. And there’s other info on the blog. I’ve been trying to add some other resources to the website, too. MicroBrewr is going to be at it’s best as a resource for you to find information on starting your brewery, or improving your brewery. I mean there are tons of books about operating a brewery. (Many of them are on the MicroBrewr book list. hehe) You can find this information anywhere, and some of it can be dense. I’m trying to make this approachable to people just like me. Maybe we don’t know what we’re doing, but we do have a dream. It’s not unrealistic. I’ve talked to people who didn’t know what they were doing—they didn’t have business experience—but they had a dream. They had passion and desire, and they opened their own brewery. Usually it’s starting small, but they’re doing what they love. They have the reward of working for themselves and doing what they know deep inside that they should be doing. And they’re making profits, they’re paying the bills, they’re still in business. Maybe I’m crazy, but I’d rather work 60 hours or more at my own brewery, than 40 hours for someone else. I want to create something new. I want to help other people. I want to inspire others to be great. And craft beer is so exciting. This is such a neat industry. Who knows how it will be in the future, when there is actually competition and there are so many breweries that everybody, even the little guys, have to compete with each other. But for now, it’s an industry that helps each other. All the breweries are raising each other up. They’re loaning ingredients to their friends across town, or even loaning staff! Or they’re just sharing their knowledge—like on this podcast. So this is where I want to be. I’m still learning how to start a brewery, and MicroBrewr has become a huge part of that. So I’ve been neglecting the actual grunt-work of really trying to start an actual, brick-and-mortar business—a brewery. Yet this is, in fact, moving forward on my plans to start a brewery. I’m updating my resume with the skills and knowledge that I’m picking up through this. When I go get money from the bank or investors, they’ll want to see that I’m knowledgeable, that I’m competent and qualified to make it work and to pay them back. I’m making connections. I now know 50 or so people who are inside the industry, already doing what I want to do. When it comes time to find mentors, I have a big pool of people to draw from. Even one person reached out to me about partnering on an actual brewery. We met in person, we talked a couple hours, hopefully we’ll meet again. Who knows where it’s going to go, but it gave me hope that this is still possible. If nothing comes from that, maybe somebody else will find me from MicroBrewr. People can have a conversation with me every week—myself and the guests of the podcast. So they’ll have a pretty good idea what I’m all about, and they can check my blog nathanpierce.me and learn more about my vision of the brewery that I want to start. Who knows what can happen. But not enough is happening. I know the MicroBrewr audience, the “MicroBrewrs,” feel a connection with me. I know how it is, I listen to podcasts, too. I mean, I feel like Pat Flynn is my best friend because I listen to his podcast every week and he helps me so much, but I’ve never met him. So I’m going to be honest. If you listening to this show, you probably know I go deep. So here’s the deal. You all know I quit my job last year. My savings is running low and my part-time job isn’t cutting it anymore. I gotta find a real job. I really want to get a job at a craft brewery. It’s getting kid of dire, so I’m applying everywhere—and there have been some jobs outside the craft beer industry that looked like they could really resonate with me—but I’m really hoping for a job at a craft brewery. Hopefully in the San Francisco Bay Area because it’s not too far from where I’m living now and it’s not too far from my family. My girlfriend lives in the East Bay and I other friends in the Bay Area. Then I’ll have some actual, real-world experience under my belt. I can learn what it really takes, day-to-day, to operate a brewery. Experience is crucial. Man, in a dream world, the brewery who hires me would recognize the intrinsic marketing value that comes with hiring a guy who produces a weekly podcast about craft breweries. They’ll give me time to continue MicroBrewr and I’ll be able to talk about things that happen at the brewery for all of us to learn from. Maybe I’m just dreaming. I don’t know. If you own a brewery in the Bay Area, give me a call, let’s see what we can do. But realistically, I already have several episodes of MicroBrewr Podcast recorded. I was thinking ahead to the coming year and I kinda got zealous about the podcast schedule. It’s going to be a little bit different moving forward. There will be sort of themes. There will be series of episodes, a few episodes in a row, all on the same topic. We’ll see how it goes. Send me message and let me know how that works for you. Anyway, I’ve recorded several so far. So if I get a job right away and it ends up being just too much to keep this going, at least I have several episodes already recorded. That takes a lot of the work and time off my hands for at least the next few months. And I think the next few months of MicroBrewr Podcast are going to be pretty cool. I’m excited about the next few months of episodes. Anyway, I just wanted to give you that recap, and that update. It’s a year-end bonus episode of MicroBrewr Podcast. I wish you a happy and safe time celebrating in the New Year. Here’s to 2015 and here’s to us, our plans, our dreams, our aspirations. Image showing Happy new year! by Nic McPhee on flickr (CC BY-SA 2.0) was modified from its original state. MicroBrewr 016: Nanobreweries rise up! In this episode I talk with Nick Ellis, founder and brewmaster at Opposition Brewing Co. in Medford, Oregon. In 2011 Nick was employed as a bookkeeper when he received notice that he would loose his job within a year. So he and his wife, Erin partnered with Dennis and Penni Poncia to start the nanobrewery in Oregon’s Rogue Valley. They began with a 0.5-BBL system, but soon moved up to a 1.5-BBL system. Now they’re getting ready to install a 7-BBL system and are planning to package beer for distribution. In the beginning, all 4 of them worked 12-hour days, 7 days a week. Now approaching their second anniversary, they’re getting things smoothed out and they each work about 9-hour days, 6 days a week. We discuss the viability of CSA programs for homebrewers. Following the Community Supported Agriculture model, a box would be delivered to your doorstep on a regular basis. Rather than produce, it would have locally-grown ingredients for making your own beer. Nick fully debunks any claims that nanobreweries cannot be profitable. From Christina Sierra: Tell me why you brew what you do. 61 Brewers Speak Out: What I Wish I’d Known Before Starting a Brewery by Joe Shelerud, February 9, 2014. 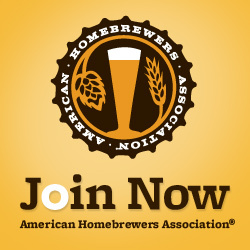 Flanders Red Ale Beer Recipe, American Homebrewers Association, February 8, 2013.
https://microbrewr.com/wp-content/uploads/2015/06/MicroBrewr016.jpg 280 750 Nathan Pierce https://microbrewr.com/wp-content/uploads/2013/12/Logo3-Copy1.gif Nathan Pierce2014-07-02 23:35:042015-08-04 23:06:27MicroBrewr 016: Nanobreweries rise up! My name is Nathan Pierce, and I’m so happy to say I’ll be your new host for the podcast, taking over for Joe Shelerud. Thank you Joe, I’ll do my best to continue this great thing you started. Most of this is covered in a recent blog. I was shocked when I heard Joe Shelerud say in session 012 that it would be the last episode. I know he made the right decision for himself, I support him in that. Still, I felt bad that MicroBrewr was ending. I’ve loved listening to MicroBrewr since the first episode in February. It’s timely for me as I’m planning to start my own brewery. It’s a great resource and it’s building a great community. I’ll also have guests from other sectors of the industry, like distributors, retailers, and marketers. I’m still playing with the format, so let me know if you have suggestions or if there’s a question you’d like to ask our guests. Leave of a comment below. In session 005, Joe interviewed me about my plans to start a brewery. Since then, I completed the draft business plan and I’m incorporating suggested changes from family and friends. A couple months ago, my partners left the project. I learned a lot from that experience. On my personal blog, you can read about, How to choose partners when starting a brewery. Stay tuned to this podcast for occasional updates. If you could ask just one question to every brewer or brewery owner, what would you ask? Leave your comments below. Thank you so much! Olympus Digital Voice Recorder WS-801 – They don’t make the WS-300M anymore, but this one looks similar. It’s easy to work, records good sound, and it’s small and lightweight. I’ve used it in all sorts of different situations, in several different countries. Perhaps the thing I like best is the built-in USB connector, I think the WS-801 has the same feature. Welcome to the 5th edition of the MicroBrewr podcast! Due to the success and support I’ve seen for the previous podcast, I’ve dialed up the frequency now to weekly. If you’re new to the podcast, I’m a craft beer fanatic who loves to hear about the journeys of those in the craft beer industry. With the experiences of some amazing people, hopefully I can give back to this community to help inspire brewers to start a brewery or provide tips on what’s working right now for the lucky people who already run their own brewery. Even if you’re not in these two camps, these guys and gals have some amazing experiences to share that hopefully can provide some entertainment to your daily commute or work out. I originally got in touch with Nathan Pierce after starting MicroBrewr who is currently in the process of starting up a brewery. Nathan worked at the air pollution control district in California before quitting his job to follow his dream and start a brewery a couple of months ago. Nathan has been gracious to share his journey along the way to help out others that are thinking of starting a brewery and we’ll be coming back in future podcasts to catch up on progress. In this podcast, you’ll get to ride along for the initial steps of the journey where Nathan is working to turn his dream into a reality. Are you fascinated by the variety of flavors in beer and the diversity of breweries? Have you ever wondered what it’s like behind the scenes of a working craft brewery? Do you dream of leaving your job and starting a brewery of your own? I’m Nathan Pierce, the host of MicroBrewr Podcast. I just want to give you this heads up. I didn’t start MicroBrewr. MicroBrewr was started by Joe Shelerud. He got all of this off the ground. He did the first 12 episodes of MicroBrewr Podcast. Then I took it over from there. So if you listen to the first few episodes and you’re not really digging it, bump ahead to episode 14 or so, and see whether it resonates with you. Anyways, a little about me. I was working a full-time job. It was in my field of study, I was getting paid well, and I was doing work that I cared a lot about. It was really important to me, and the benefits were great. Then we had a change in management. Stress levels for me and my co-workers were just blowing up. My doctor wasn’t stoked. So I had to get out of there. They say a job isn’t worth your health, so I had to put that theory to the test. Just about a month later, I was in my friend’s wedding. A couple of the guys from Ninkasi Brewing were also in the wedding. So we got to talking. I asked them about it. They shared their beer—which wasn’t yet distributed in California, so that was cool to get to try it before anyone else—and it all sounded so great! When I had some time to relax and assess my next move, I knew it would be to open a brewery. I had already been thinking for a while of starting a business, but didn’t really know exactly what it was going to be. But after talking with those guys, that was it. So I set out on that plan to start a brewery. There have been some bumps in the road—I’m not really qualified. But this is my dream! So MicroBrewr is a way for me to learn how to do this. How to start a brewery. How to build a brewery that makes great beer that’s never been made, and how to get it to others so they can enjoy it too. If you want to learn all this, too, then MicroBrewr is the right place for you. MicroBrewr Podcast is a weekly podcast inspiring people who are planning to start a brewery, or wanting to take their existing brewery to the next level. We go deep to get inside the industry and inside the heads of people who work there. There are interviews with craft brewers and craft brewery owners, answering all of your questions about starting your own craft brewery. We don’t talk a whole lot about beer—we talk more about the business of beer. Guests share their tips on starting and operating a successful brewery. They share their inspiration with us, who are entering the craft beer industry or trying to get our own brewery off the ground. Each of the breweries have a special story to tell, and we showcase that on MicroBrewr Podcast. We talk with every sector of the industry from nanobreweries and local microbreweries and brewpubs, to larger regional craft breweries, learning how to start a brewery. What’s the biggest mistake you ever made for the brewery? What’s the best idea you ever had for your business? Has there been a moment when you realized you finally succeeded? What is the most important thing for someone starting a brewery? We also have other guests—experts from other sectors of the craft beer industry—such as a distributor in an international market, an operator of local craft beer store, an accountant and operations consultant, and an expert of wastewater management for breweries. There is so much more to starting and operating a successful brewery besides just making great beer. So we need to know about all of that. And every episode ends with Happy Hour: A few fun questions to lighten the mood, get to know our guest, and get inside the industry. The stories are really interesting, it’s usually pretty fun and always super educational and informative. Episodes are about 30 minutes to an hour long. We have listeners in more than 35 countries and all 50 U.S. states. Our audience is made up of entrepreneurs, wantrepreneurs, and people who want to make an impact in the world, just like you! So feel free to listen wherever you are. 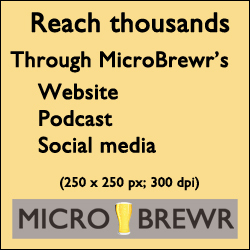 You can access MicroBrewr Podcast here on the website. But the best place to listen is in iTunes or on Stitcher Radio because you can subscribe to the show and it’ll let you know when there’s a new episode. So please subscribe, rate, and review the show in iTunes or Stitcher. Please give me your honest feedback by leaving a rating and review. That helps me know what works for you. How you want to see MicroBrewr Podcast improve. And, honestly, it also helps boost the show in search results, so other people like you can find the show. Lastly, if you like what you hear, you might want to go to the website, microbrewr.com. The website has a blog, and other great resources. Plus, there are show notes for every episode of the podcast. If you ever miss anything or want to dig deeper into the discussion, there are notes for every episode, which has a brief overview of the show with links and other great resources about the other things we talked about in the episode. There’s an easy link to go to the show notes for each episode. You just go to microbrewr dot com slash session and then the number for the episode. You know, one of the things I like most about craft beer is the community that surrounds it. People are so friendly and helpful. It’s really cool that all the brewers, brewery owners, and other guest on this show just want to help others start a brewery by sharing their time and expertise by being on the show. I would really appreciate your help in spreading the word about MicroBrewr Podcast and building the community by telling someone else about it. Let me know if you need anything. Let me know if there’s any way I can help you in your pursuit to start a your own brewery. You can email me on the contact form.